Summer is finally here and it’s officially too hot for my baby boy to sleep under the woollen blanket his grandma crocheted with much love when he was born. Happily, I’ve found the perfect warm weather replacement. 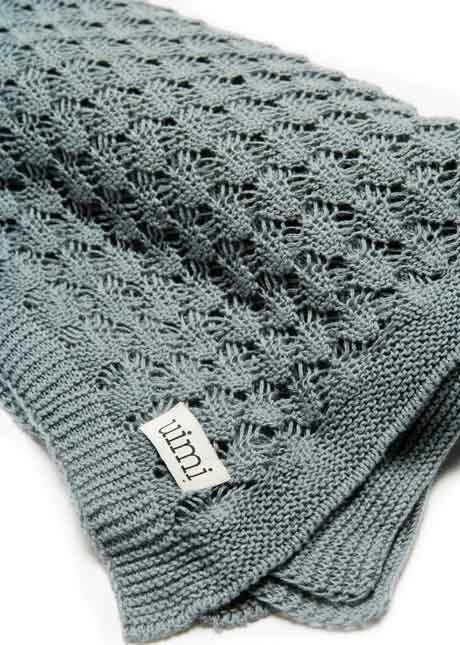 Remember back in winter when we showed you those darling merino mittens and baby bonnets from new Babyology discovery Uimi? Well, just take a look at what they’ve conjured for summer! 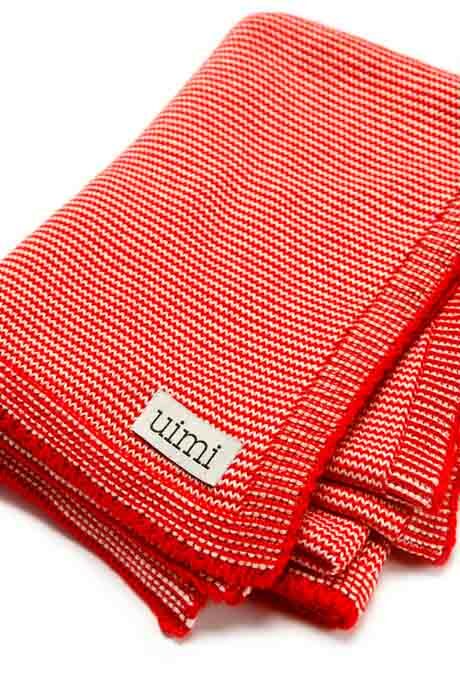 I’ve fallen madly, deeply in love with the vintage styling of Uimi’s delightful new Ruby blanket. Made from organic cotton, the cot-sized blanket is perfect for throwing over napping babies and will keep them comfortable while asleep on all but the hottest summer days or nights. And though my mum didn’t crochet it herself, I’m sure she’d approve of the distinctly old-fashioned pattern. This is a truly beautiful blanket that’s destined to become a family heirloom for anyone stylish enough to own one. The delicate weave makes it especially suitable to use as a stunning special occasion wrap for swaddling little babies – how perfect for bringing home that special bundle from the hospital! Prefer something a little more modern? You’re going to love this next one then. It’s Uimi’s Sage blanket in all its zigzag glory. The rather striking summer blanket is another organic cotton masterpiece and comes in three sizes, bassinet, cot or single bed. I also have a soft spot for the Jack blanket, and not only because it shares a name with my firstborn. No, it’s the classic stripes combined with a cotton weave that’s both lightweight and luxurious that have me adding this to my “want” list. 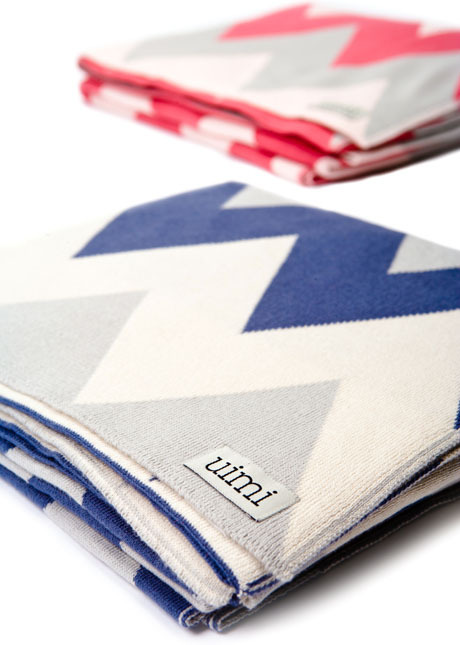 Visit Uimi to see more of their new summer range of blankets and wraps for babies and children, made right here in Australia in an amazing choice of stunning colours and priced from $89. You’ll find a list of stockists here.